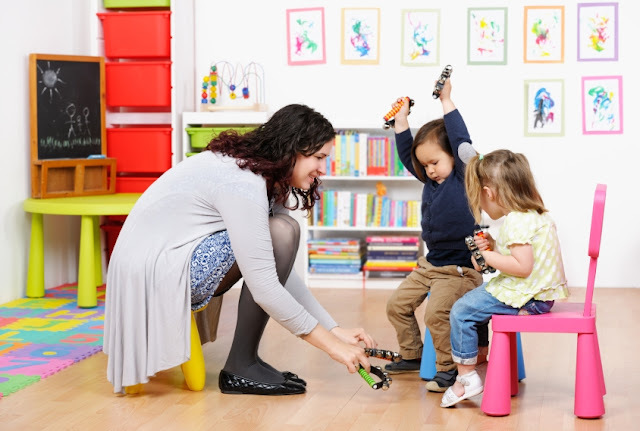 How can I help my child adjust to daycare? Before the First Day: Go Over the Schedule. Prepare your child for what he'll experience at day care. Adjust to the New Routine. Give your family a few days to get used to any new sleep schedule that day care will require. Visit the Center. Trust Your Caregiver. Make a Special Purchase. For the child. Bring something familiar. A reminder of home will make those first few trips to daycare a little easier and provide comfort on difficult days. Create a goodbye ritual. Talk it through. Try a gradual start. Do your research. Create a night-before checklist. Do regular check-ins. Expect some tears. A slower integration into childcare may not always be feasible however, if you do have the opportunity, it really helps with the transition. If possible, arrange at least 2 weeks prior to the start date to get your child well acclimated to their new environment, people by slowing spending more time with them.